It’s never too soon to talk about flood safety. Recent late snow storms will add power to the coming spring runoff and subsequent monsoon. That means flooding for unfortunate Denver and Front Range residents in coming months. So we put together a list of personal and property safety tips in hope of keeping our neighbors safe before the water damage cleanup starts. Flood safety for you and your family starts now, before you face dangerous flooding. Take the time to learn about basic flood safety, talk about it with your family and make an emergency plan that covers what each member of the family would do if flooding threatens or occurs. Here’s a basic checklist of flood safety tips to help you organize your emergency plan. Make an emergency plan detailing where family members will meet if separated during a flood (or any emergency event). Determine how your family will communicate, and make an evacuation checklist that includes important medications, documents and heirlooms. Never drive through moving flood waters. As little as six inches of moving water can wash your car right off the road, putting you into a deadly situation. Also remember that even water that is just standing can erode and damage road surfaces, so use extreme caution when driving in any flooded area. Comply with evacuation orders. Be aware that spring and summer are flood risk months on the Front Range, monitoring news outlets for advance warning of potential flooding. If authorities call for evacuations in your area, pack up and follow your emergency evacuation plan to avoid creating a dangerous situation for first responders who would have to rescue you. Learn about the different flood warnings and terms. The National Weather Service issues watches and warning bulletins to inform and protect residents. If you hear a flood watch announcement, it means that conditions exist that could create flooding. A flood warning means that the specified area will likely flood. Aflash flood warning means flooding is coming now. If you hear a watch, you should ensure your family’s emergency plan is ready. If you hear a warning, you should take action to get out of the path of flooding. Learn more about flood warnings watches and other terms from the National Weather Service. 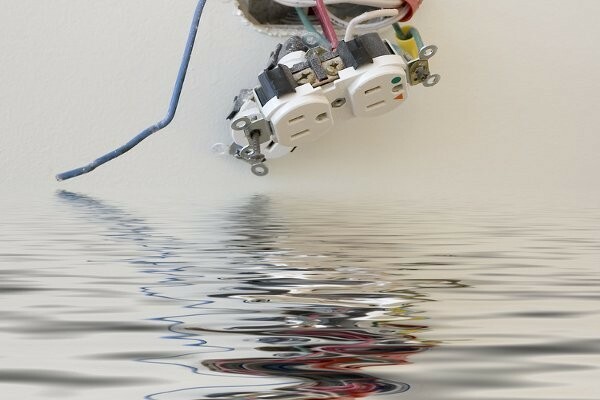 Remember that flood waters can hide dangers such as electric shock hazards, as well as contain chemical and biological contaminants. Know the flood risks. You can learn about flood risks in your area with resources like the FEMA Flood Mapping Service. Inspect your property, ensuring that ditches, French drains and other features designed to manage water are in good repair. Inspect buildings, ensuring that gutters, downspouts, basement sump pumps and other water handling features are in good repair. Review your property insurance policies to ensure adequate coverage relative to flood risks in your area. These tips will get you started. Take the flood season seriously and, if the worst happens, remember to call Delta Disaster Services for Peace of Mind During Uncertain Times®.